Earlier this year we took a look at the Toyota GT86 CS-V3, a race car developed for V3 class in the VLN Endurance Championship that also eligible for any production-based class. But if your racing aspirations also take you off the pavement and into the realm of rally competition, the newest iteration of the GT86 racer might be a little more your style. 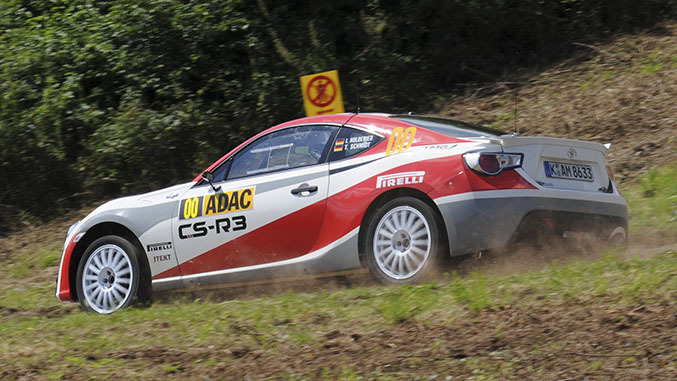 Aimed directly at private competitors, the rear-wheel-drive GT86 CS-R3 is a rally car that’s designed to offer reliability, safety, and some serious fun. The CS-R3 fully conforms to FIA R3 regulations, which means it is suitable for nearly all rally events, from local competitions right up to the FIA World Rally Championship.